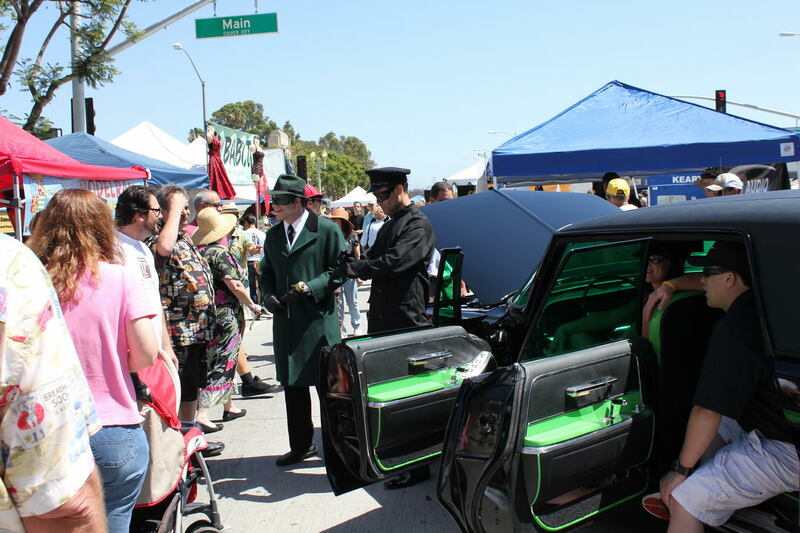 On May 8th, I went to the annual Car Show in Culver City. 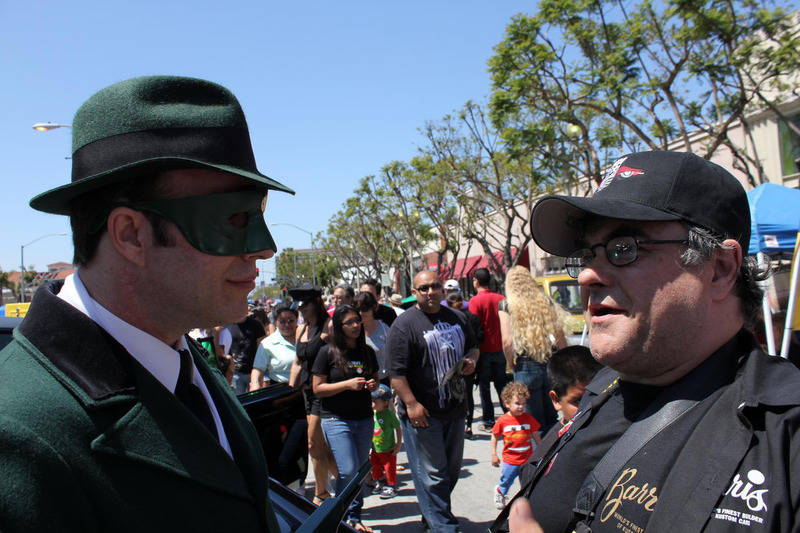 I’ve attended a few years earlier as Batman. 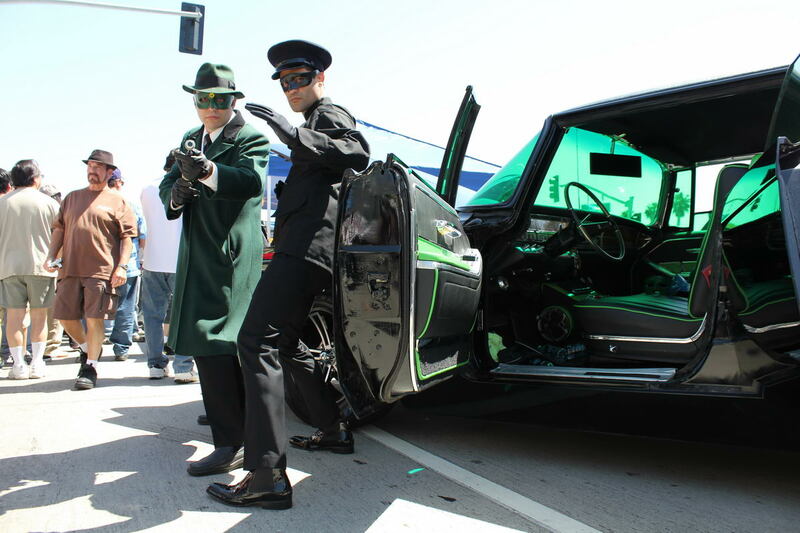 This year they had a replica of the Black Beauty from the Green Hornet TV series. 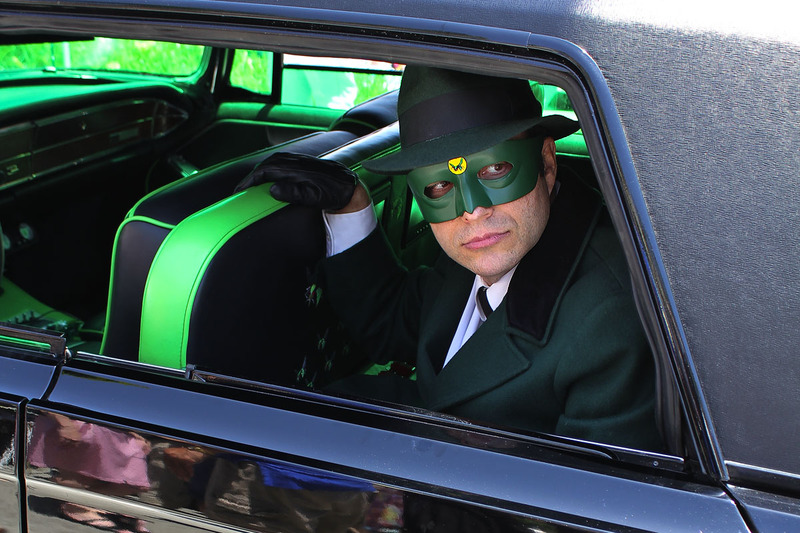 So it was a great opportunity to show my support for my friend , Anthony Taffuri and his great replica if I attended it as the Green Hornet. 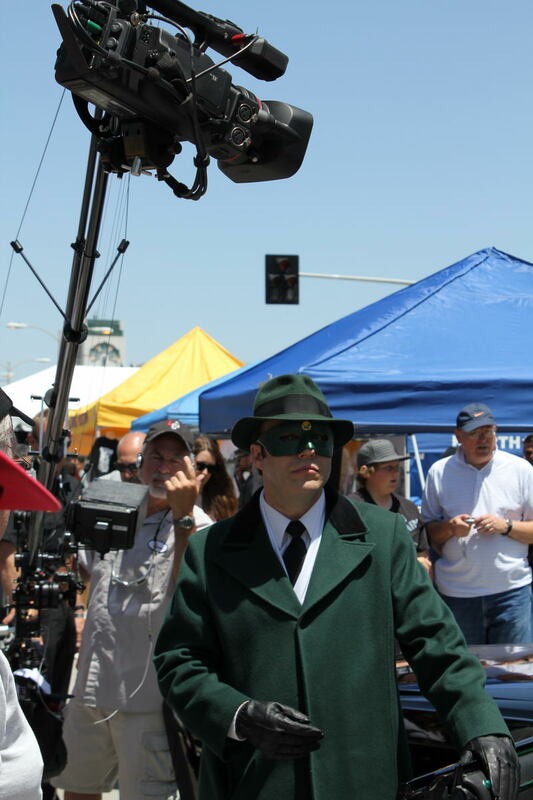 This was the first time since the 2006 San Diego Comic Con that I put on the green duds and meet the public. It was surprisingly mild weather for early May, so I didn’t cook too badly with all the layers of clothes I had. 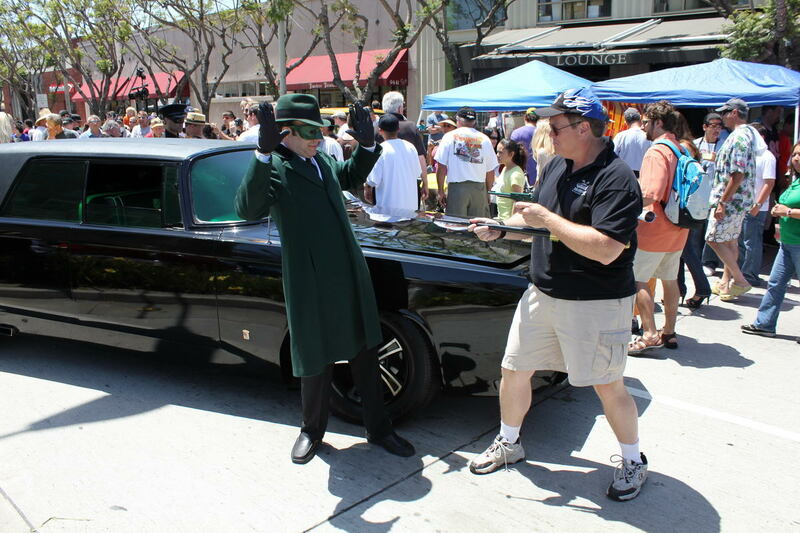 It turned out to be a great time and folks enjoyed themselves. 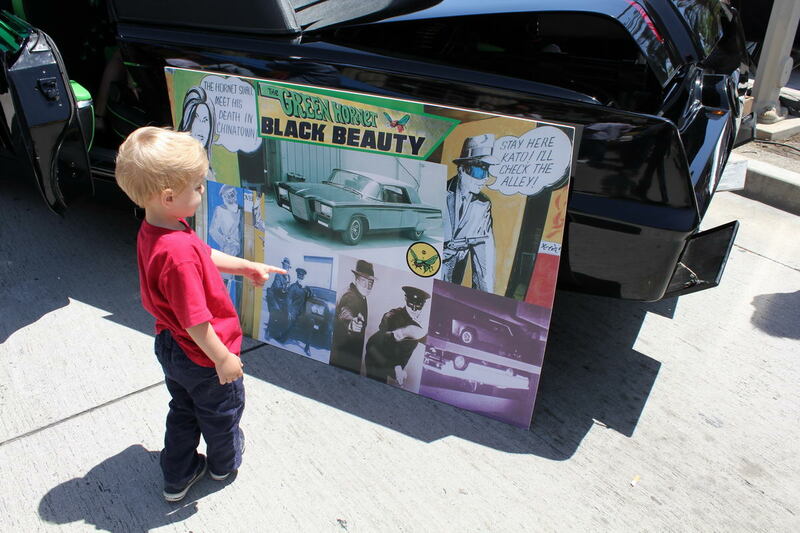 The car show was across the street from the Culver Studios. 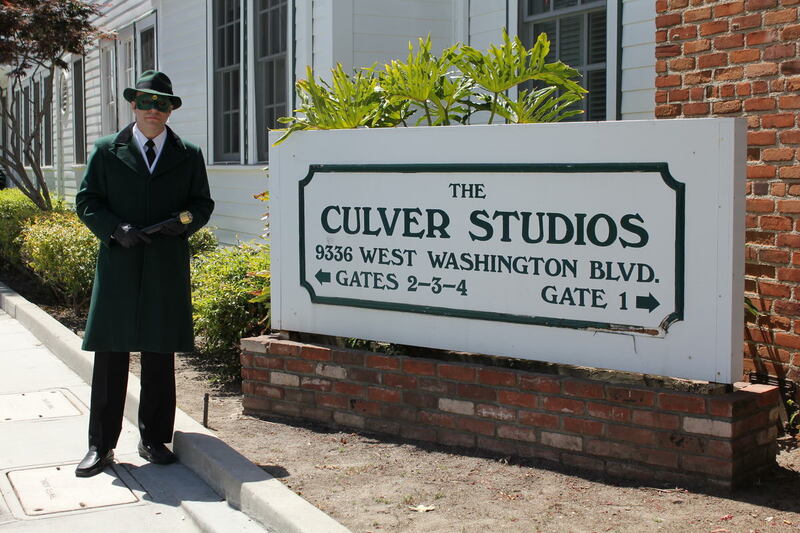 The original studios where Batman and Green Hornet were filmed. 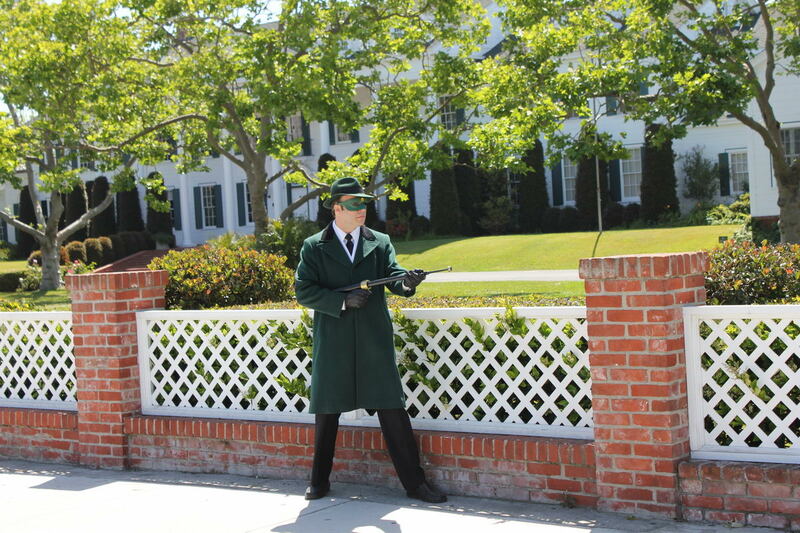 Look familiar? 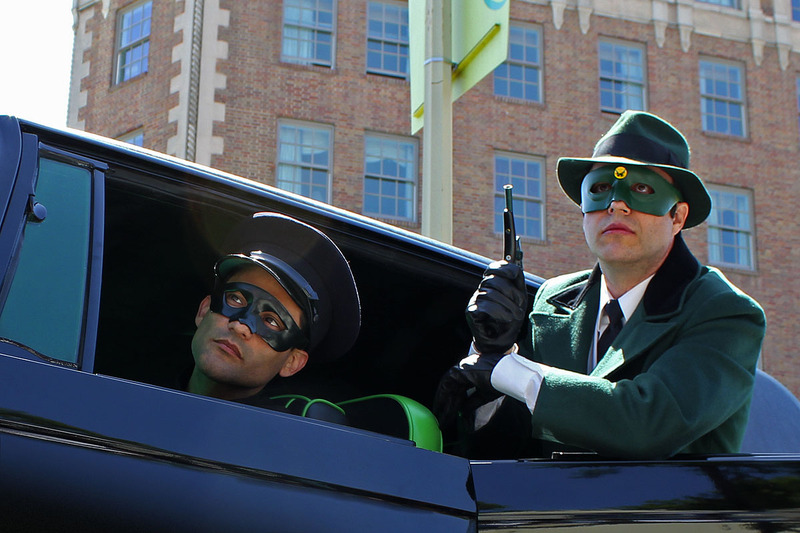 It was used as an exterior to a few Green Hornet episodes as well as Batman. 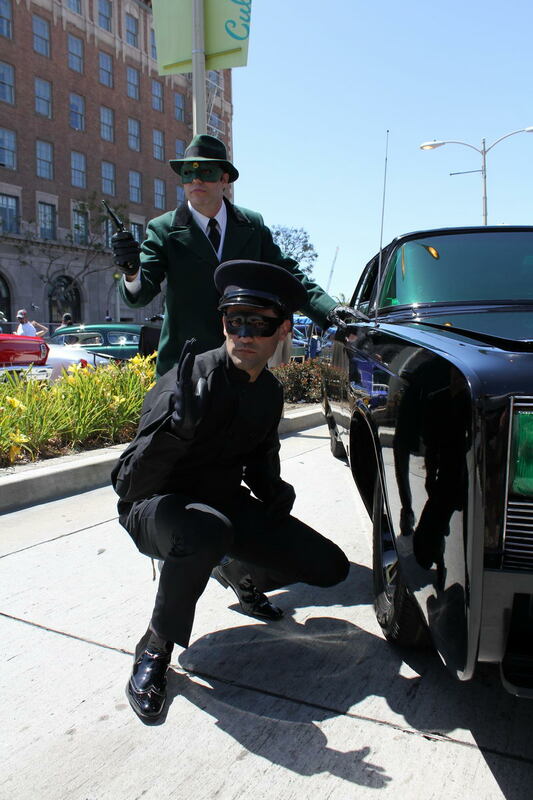 Met up with Nicholas as Kato. With one of my GH board members pweakley. 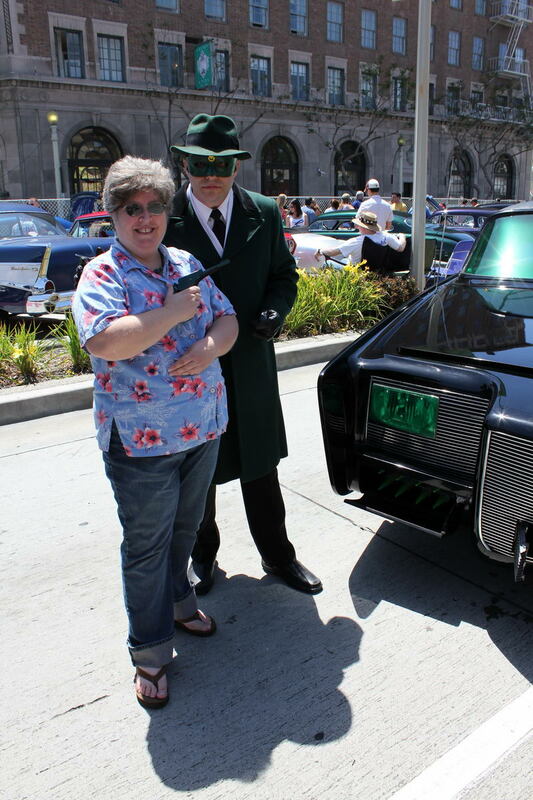 She liked my friend Billy’s gas gun. 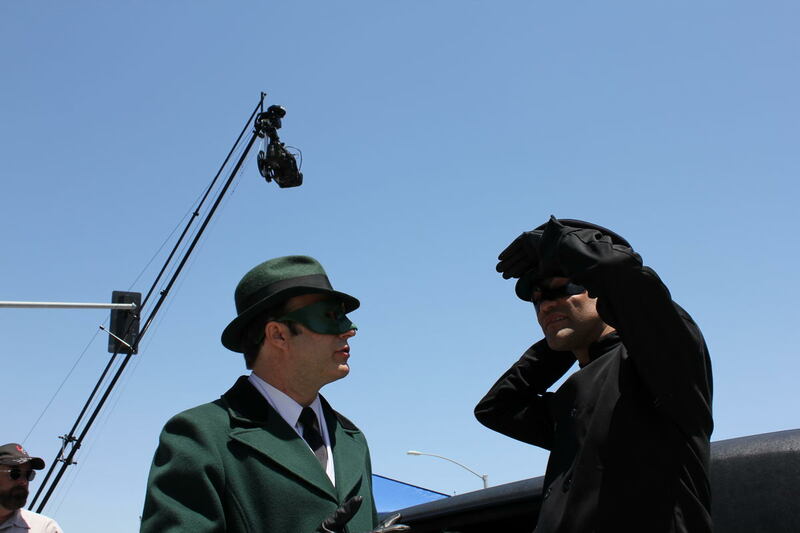 My buddy Nate Truman gets the drop on the Green Hornet.